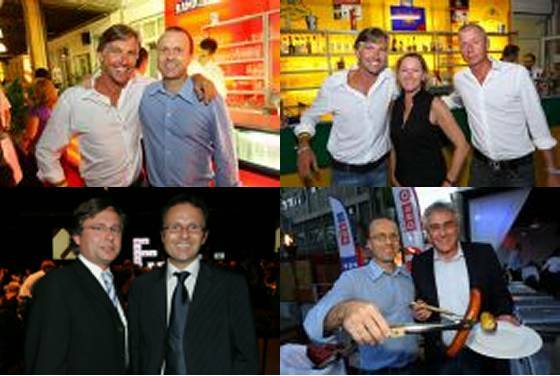 Austria's top online and digital media strategist, a director of ABC (Austrian Broadcasting Corporation) who's first turn in office is about to complete its run has not been invited to this year's "Media Future Conclave" congress of his private business competitors where they usually elect the next temporal King of DMA (Digital Media Albania). Given the fact that our hero - in stark contrast to his market driven peers - for 4 and a half years now has demonstrated that he and his team of eminent experts have been able to a) conceive and b) really really implement "central" strategies, we think the non-invitation is a veritable scandal. At least one man does listen. While even we here in Jamaica since having read this impressive and brilliant interview with Austria's top media and animal rights expert in Austria's top business journal have finally understood the secrets behind digital success, the wolves of media street have not. So, despite having amply demonstrated you are not really interested, listen up, private media sector bosses, there is a still one thing or the other you could learn from an extraordinary leader. Update: The interview is not available any more but contents can still be glimpsed from this related press statement. While from the late seventies to the very early 2000s being the most attentive follower of public ideas was a sure receipt for winning and easily hold one's own against the so called first mover advantage and disruptive innovation. But since the mid zero years, the rise of new global behemoths and the rise of the tiny glowing screen you might need ever more and newer stuff to land a coup in the media market place. Without a vision and a consequent precisely conceived and concisely formulated and understandable strategy nothing is to be won any more. This is precisely what most of the publishers in the german speaking world say they have but really lack the strictly political means to transform into big money. Having such a vision the corresponding operational plan is exactly what distinguishes our protagonist here. Wir haben unser zentrales strategisches Vorhaben, ORF.at zur multimedialen Plattform auszubauen und damit auch die Marktführerschaft im österreichischen Medien-Online-Markt abzusichern, erfolgreich umsetzen können. Now this sentence is exactly where we can learn how it is done. Simple and clear. But imagine all the work that is behind these concisely formulated and operationalised objectives. Getting the right terms selected is essential. And while private publishers still follow old time values and fetishes like "portal" and "services", the afore cited phrase contains practically all the decisive ingredients of the digital future: "platform", "multimedial", "leadership", "market", "successful", "implement", "secure", all neatly combined into a single understandable positive statement. To quote an old truth, a single picture tells more than a thousand words, and moving pictures at 25 frames per second, even more so. Think about that, publishers. In a rare gesture of generosity, the guru not only speaks his strategic mind in public - which is often rather common with visionaries - he also details the revolutionary tactical elements, aptly split into 4 clearly distinguishable moves that have safely carried said strategy to the down range and even the green. Erstens wurden die größten ORF.at-Angebote technisch und designmäßig optimiert, modernisiert und barrierefrei gemacht sowie die Integration von Videos verstärkt. Das ist z.B. 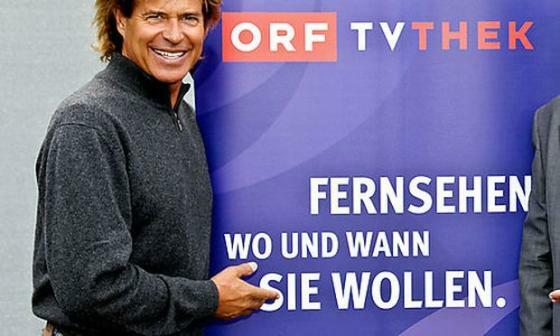 bei „news.ORF.at“ und „sport.ORF.at“ bereits geschehen. „oesterreich.ORF.at“ und die neun Bundesländerseiten sowie „wetter.ORF.at“ werden noch heuer im Sommer folgen. While now we have enumerated the essential elements of strategic conception above, this technical terms here are of comparable essentiality: "offerings", "technical", "design", "modernized", "freely accessabile" and "integration" of the next big thing, video, are the key components of deployment. Headquarter strategies aren't worth a penny if you cannot carry them downrange or as we used to say, if Charlie does not feel them applied to his bodily sensations. Zweitens ist mit der Videoplattform ORF-TVthek die wichtigste Online-Innovation des ORF der vergangenen zehn Jahre entwickelt und erfolgreich realisiert worden. Heuer hatten wir im Schnitt bereits 8,5 Mio. Videoabrufe pro Monat, Top-Monat seit Bestehen der ORF-TVthek war – nicht zuletzt aufgrund der auch online intensiv genutzten Japan- und Libyen-Berichterstattung sowie Dancing Stars – der März 2011 mit 10,5 Mio. It seems in March of the running year, the Austrian Broadcasting Corporation was able to certifiedly gather some 330 million so called page impressions. Now if we get it right, page impressions are essentially a measure of text and code retrievals (whatever embedded in it). After a few quick calculations the tiny analytic team in our headquarters conclude that the 10.5 million video requests mean that roughly 3% of text retrieval interactions from the audience lead to a video view. As we have been told this implies a real breakthrough. Given a decent growth a 5% share of video starts seems in reach. These figures also clearly show that successful distribution of serious high quality and investigative content about countries in Africa (Libya) and Asia (Japan) is still possible if rightly applied. There is hope that our youthful internet generation is not that superficial at all and still interested in moving pictures of important people in their home country and the world at large. Are you interested in more? Come back in a few days! We will analyse moves 4 and 5 of the tactical detail soon enough. And no, the ABC might be no petting zoo, as the director tells us but neither is the market place. A battlefield awaits you everywhere. At least if you've got enough of the right attitude for it. Postscriptum: As a warning, not to become too overenthusiastic too fast we have to remind the p.t. audience that not all of the director's endeavours have succeeded as well as the above ones. Here is a modest example from more recent history (fall '08) of a project that gave our staff the impression of not being quite completed yet. One must always take friction losses into account. PS In German the up-to-date expression would not have been "kein Streichelzoo". As a matter of fact all girls nowadays say "kein Ponyhof".